British gymnastics Qualified – Men’s, Women’s, Pre-School. 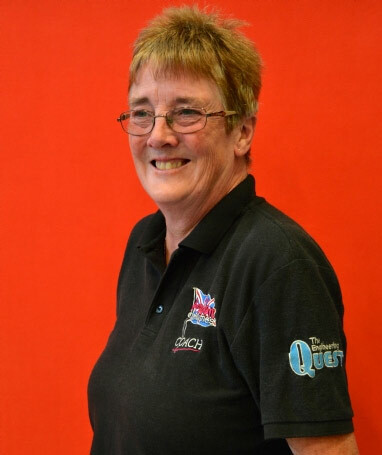 Loraine has been teaching gymnastics longer than anyone else, she is less than a quiet coach who was sadly widowed early by the loss of her husband Tom. Loraine and her daughter Sammii both moved over to Arabian from Kingston once Alan had used his persuasive charm to get them to both join him. Loraine is an iconic personality within the club who has bundles of experience and knowledge.